This week we’ll explore the monstrous side of Japanese folklore–the yokai. Yokai are supernatural beings of legend, some relatively harmless tricksters and others lethal. The Yuki-onna definitely falls into the second category. Yuki-onna translates literally to “snow woman,” and that’s pretty much exactly what they are. Like the winter that heralds their coming, they are always beautiful, graceful, and deadly. They are said to appear to lost travelers during blizzards and, either through misdirection or their own icy breath, make their victims freeze to death. A white kimono may hang from her shoulders, but with or without it her pale skin blends into the snow. She never leaves footprints–not only because she floats, but because, like many Japanese ghosts, she is often depicted without feet. The only break in her camouflage might be a strand of dark hair blowing in the wind or a flutter of eyelashes–but hey, that was probably nothing, right? It’s so hard to see in a snowstorm. Sometimes a Yuki-onna takes a seductive approach to lure her victim out into the cold, and sometimes she doesn’t even wait for them to get lost in a storm, opting instead to barge right into their home on a particularly chilling night. Sometimes she’s a ruthless killer with no remorse. Sometimes she’s a victim of the cold herself who haunts winter nights after her passing. The Yuki-onna legend lives on in pop culture today. Depictions inspired by this yokai appear in countless anime and manga series. Beyond that, Yuki-onna influences pop up anywhere from Kurasawa’s film Dreams to the Ice/Ghost Pokémon Froslass. So what makes this legend so enduring? Why is Yuki-onna relevant outside of Japan? Anyone who’s ever experienced the cold snows of winter has already met Yuki-onna. She personifies the dangers of icy weather: like the snow, she is breathtaking to behold. But spend too long in winter’s embrace and it will take your final breath. 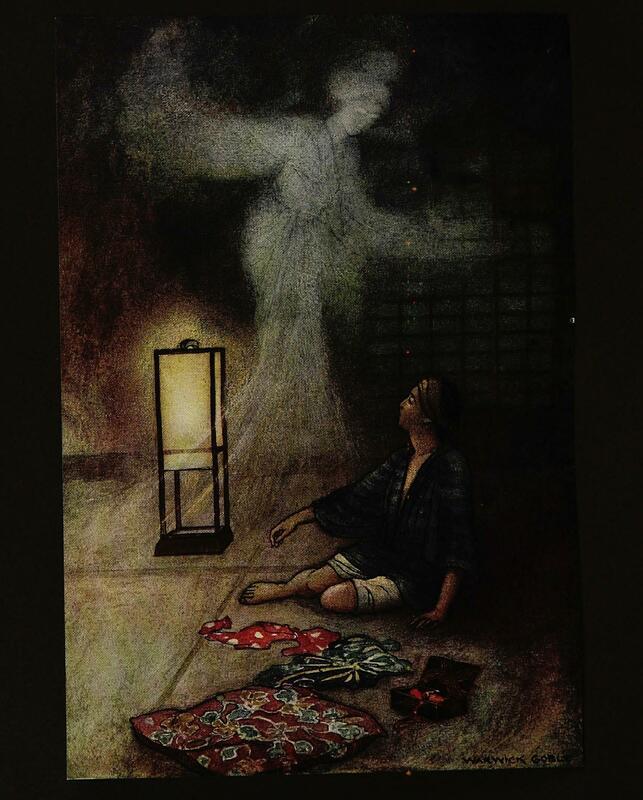 Yuki-onna taps into a universal experience of cold weather and, by extension, a universal fear of freezing to death. She is a physical representation of that specific mortal fear. But there are other spirits and monsters that conjure up fear of the cold–the yeti or abominable snow monster, for example. Yuki-onna distinguishes herself in one important way: she always lures her victims to her. Imagine that you’re lost in a raging blizzard, terrified to death of hypothermia and frostbite, when you see a human figure. You’d be thrilled. Maybe this person knows the way to a nearby shelter. Maybe she has a spare coat–something, anything. You want to trust her, and if she beckons to you you’ll start towards her eagerly, still clinging to that hope that she will help you. If you saw a yeti you would know to run away; Yuki-onna is more dangerous precisely because you don’t want to run from her. She is beautiful, after all. So, Yuki-onna is not only winter personified, she also represents false hope. The other feature that makes Yuki-onna unique is that she is a ghost. Legends often say that she died in the snow, herself, and now she’s become a specter of the same force that ended her own life. That’s not uncommon for ghosts, but it’s especially appropriate for a ghost of winter–the season of bare trees, hibernating wildlife, and the paltry scraps of the harvest. The season of death. And doesn’t it just feel right? Think of how your breath freezes in the cold air. It’s right in front of your face, visible for a blink of an eye before it vanishes. Life in winter is fleeting. Yuki-onna lingers on the wind like a frozen breath–the combination of phantom and ice has a poetry to it. In the end, while Yuki-onna is a uniquely Japanese invention, she is most frightening because she reminds us of such a universal danger. Wherever there is winter, she can claim another victim. Prompt: Choose a very specific way to die. In Yuki-onna’s case, that might be hypothermia. Now write something that features a creature, character, or situation inspired by that particular mortal fear. Focus on the details! The little things are often what make metaphors and allegories hit home. So, had you heard of the Yuki-onna before? Maybe you know an example of one, or reading about her reminded you of another creature from folklore. Sound off in the comments!